" Choose fattier cuts and eat a little past satiety. I am 150ish pounds and eat 3-4lbs of fatty meat a day." "Eat + Lift Heavy + Time = win"
This is what we get without data. This subjective feedback is useless in providing guidance to an individual outside a general expectation of results. Nothing in any of these recommendations is applicable to my situation specifically. How much more do I eat? How much heavier do I lift? 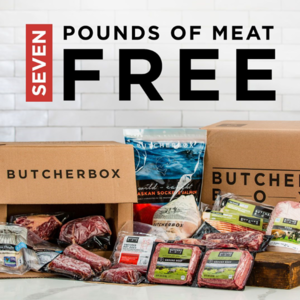 What if I'm already eating 2 pounds of meat every day? I already feel like I'm stuffing myself and I can't eat more. Luckily I did track my meals. Because I did this AND I knew what my Base Metabolic Rate (BMR) is, I was able to figure out exactly what happened and come up with a plan to fix it. I lost muscle because I was in a caloric deficit. My BMR is about 1950 cals. That means I burn 1900 cals on avg. every day without exercise. Throw in exercise and you can add another 500 cals to that. I was eating on avg., 2100 cals on workout days and around 1700 cals on non-workout days. Way lower than it should have been. I didn't have enough food coming in to maintain and grow muscle. So I knew I needed to add 300 to 400 calories to my daily plan. I figured out what I had been eating in grams of protein (about .8 grams x lean mass) and increased that to 1 gram x body weight. This increased my protein requirement for the day and with a proper ratio of fat (60%-70%) added about 400 calories to my daily plan for food. You bet it did. not only did I gain the lost muscle back, but I maintained it for two weeks. Now I know that managing my performance is possible and I have an idea on how to do it. I can make adjustments without having to wonder if it's going to work. The amount of time I have to spend on trial and error is greatly reduced. That is absolutely correct. If you don't want to track calories don't. Also, don't ask anyone for help figuring out how to make this diet work for you. Without data, no one can give you any recommendations that will fit your specific issue. Generalization and subjective feedback are the long roads to success and in many cases failure. In any program, the longer it takes someone to see progress, the more likely they are to fail. Humans are also the only animals with the ability to track data. It's part of what makes us special. We have the ability to learn from past experience, record it, share it, and use the data to develop new and better ways to do things. We're not even talking about anyone doing this diet to resolve health issues or chronic disease states. It's more important for these situations to track as much data as possible so there is a record of the process of healing. The Carnivore Diet is a winding river that many of us are swimming, tubing, or kayaking in for the first time. We're trying to go in the same direction. Some are moving faster than others, some may get caught in an under-current, others may get stuck in an eddy and not go anywhere for awhile. Every person has to navigate the river in a way that works for them. In general, the concept of CD works for everyone. How everyone does it will be different. Let's try and look beyond ourselves and figure out how to help other people make it work for them, in their personal situation. That may mean keeping an eye on data.